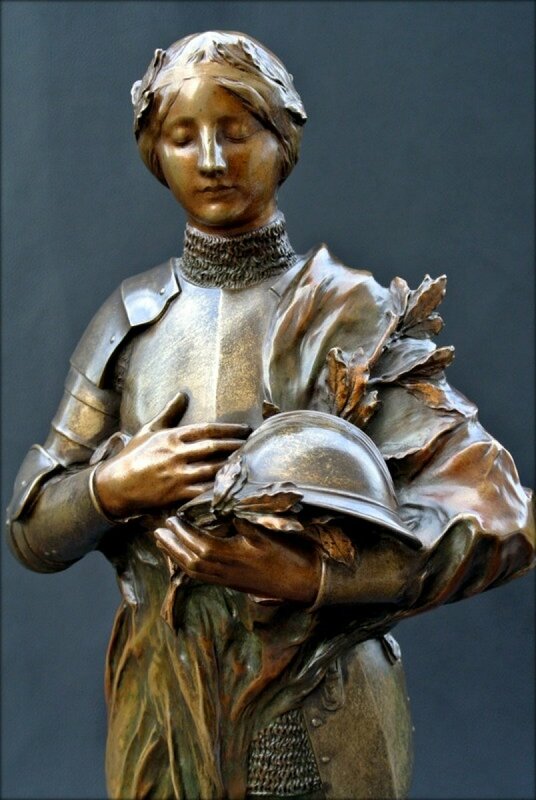 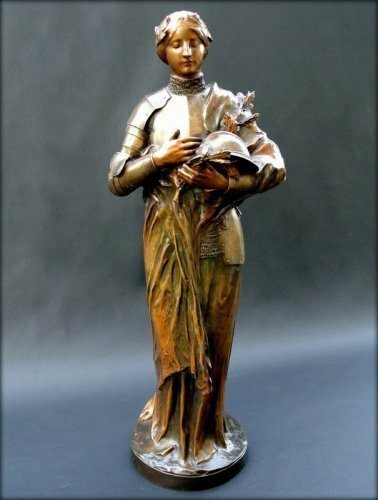 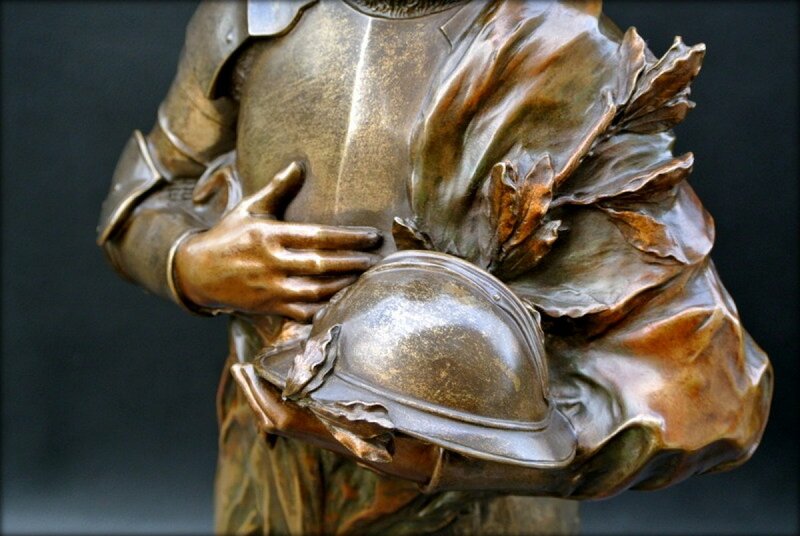 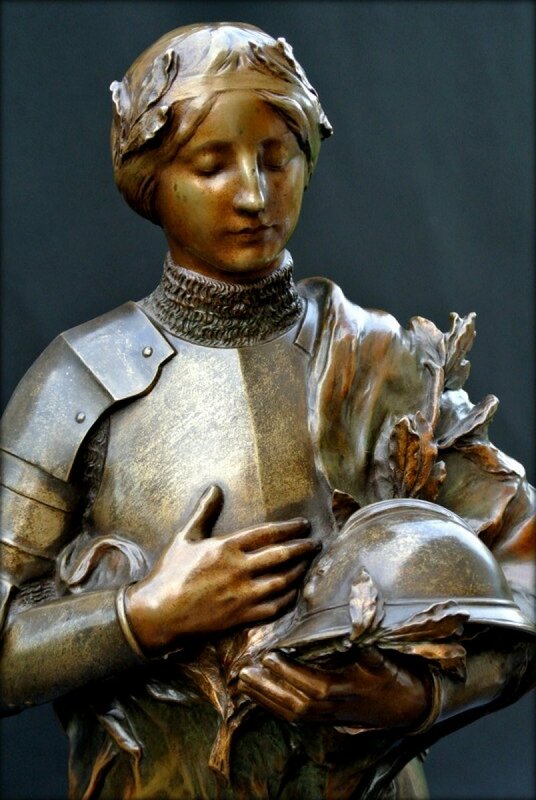 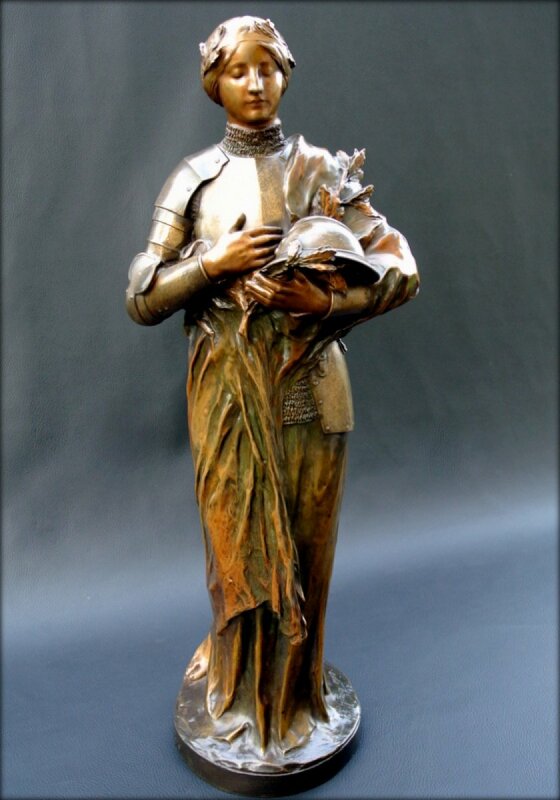 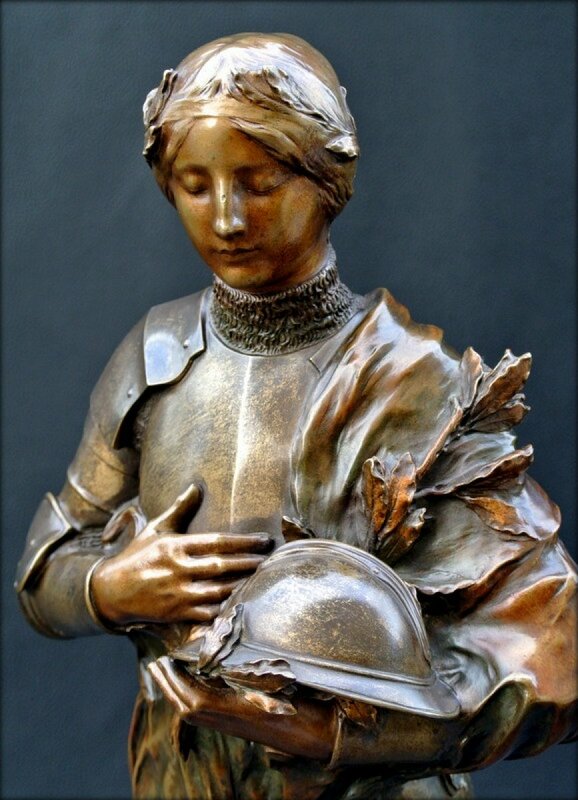 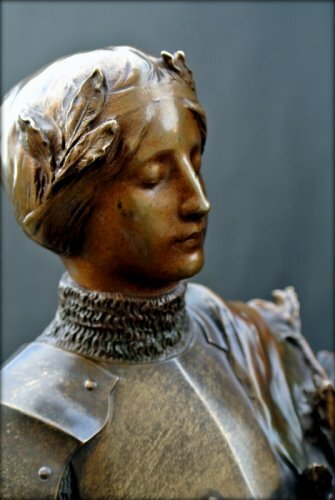 Tribute allegorical representing Joan of Arc in armor, covered with a cloth, holding a helmet of soldier of the 1st World War and an olive branch. 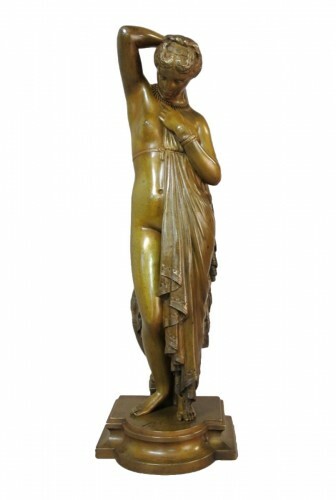 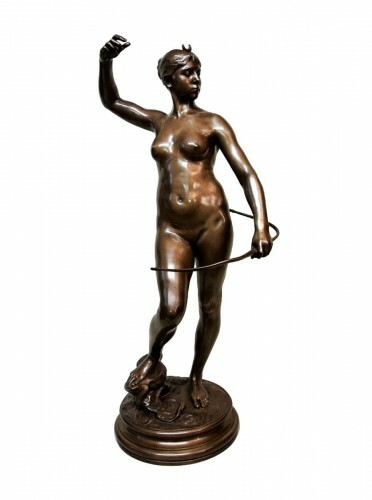 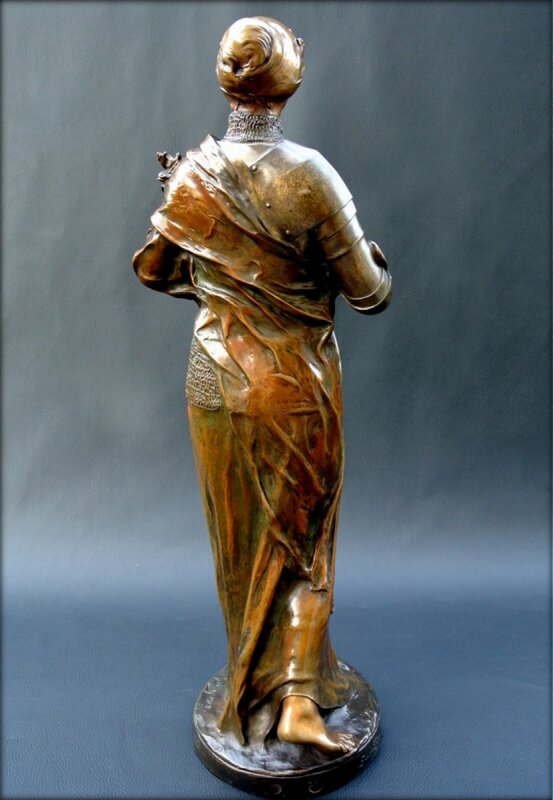 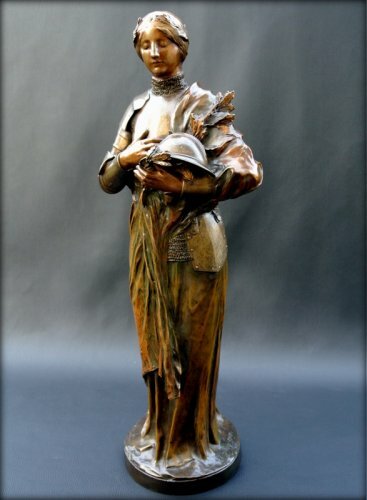 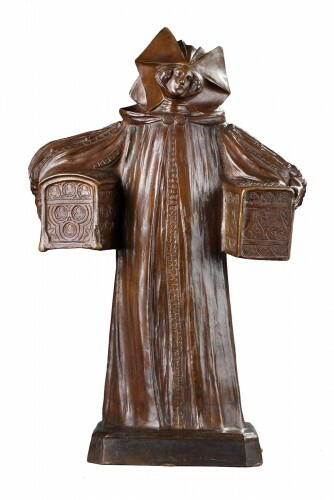 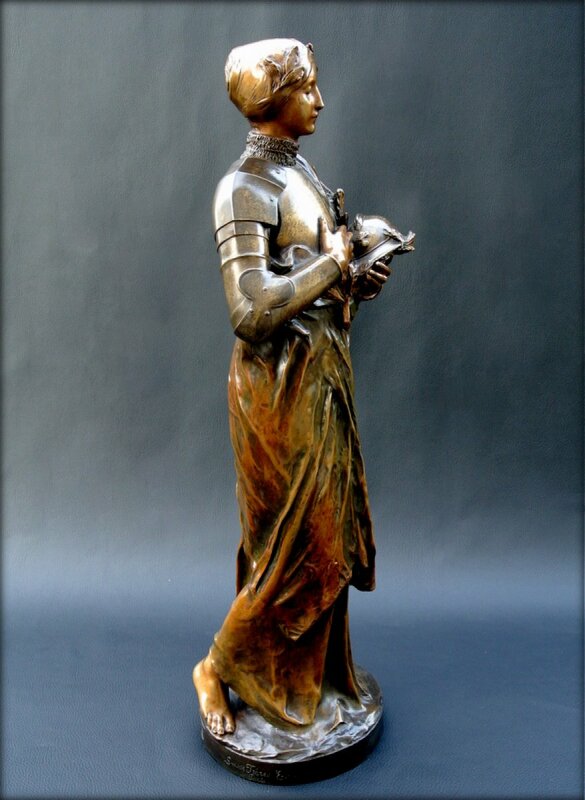 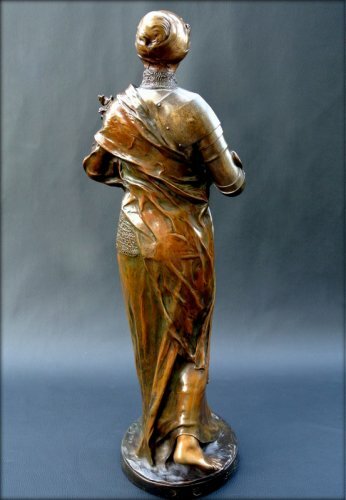 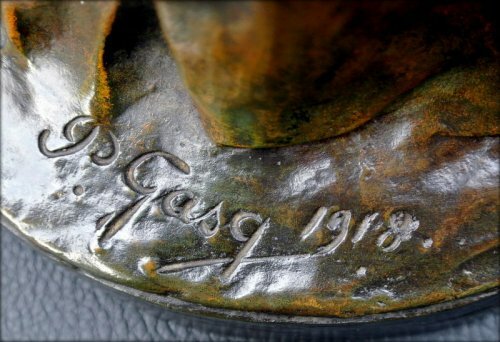 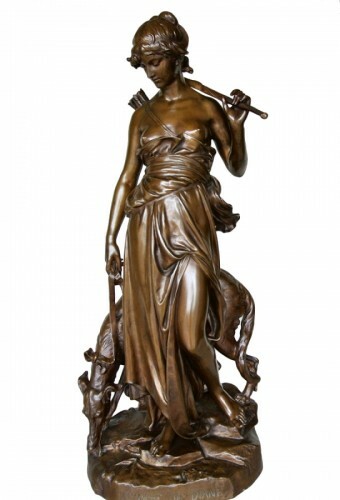 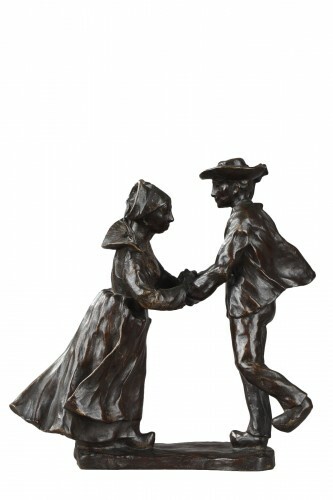 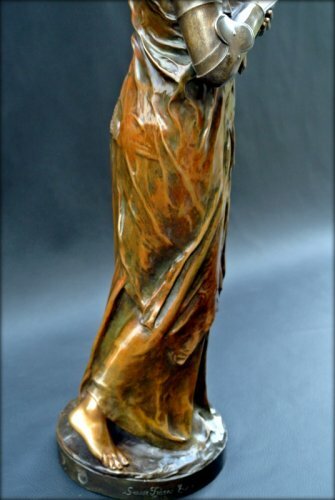 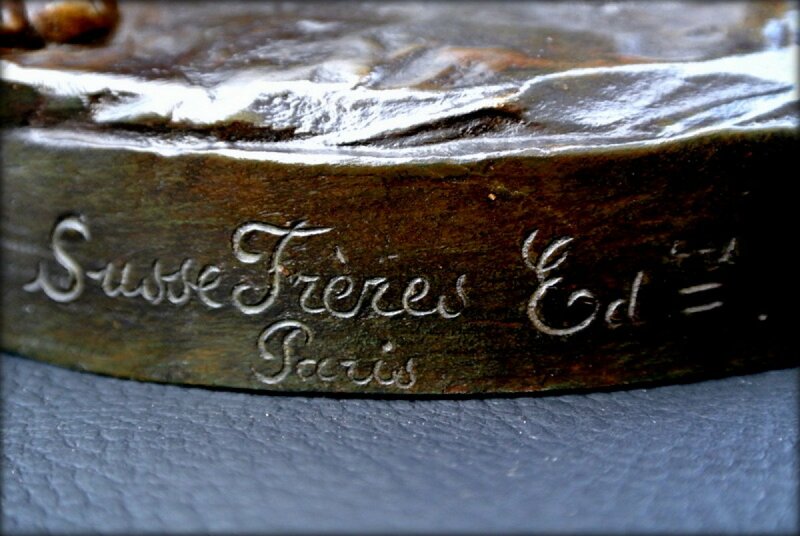 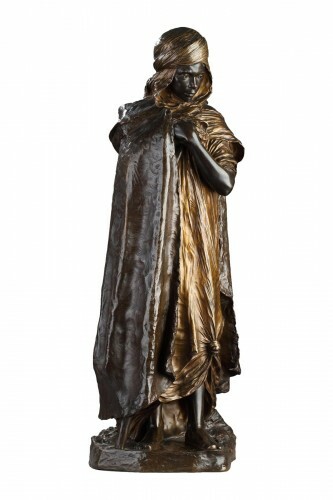 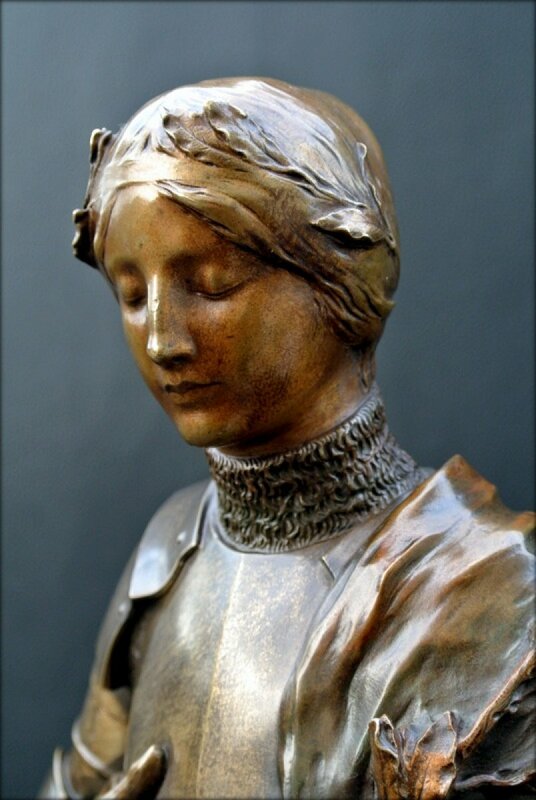 Statue in bronze patina of nuanced origin Green/Brown, dated 1918, signed P. GASQ: (Paul Jean-Baptiste Gasq born at Dijon 1860/1944, prix de Rome in 1890) stamps of melting Susse brothers publishers in Paris. 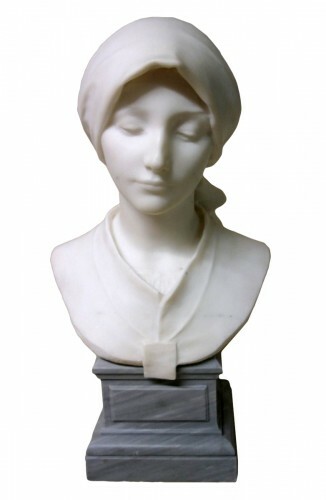 Very good condition, slight marks on the bridge of the nose.